On average, Ford Edges sat just 10 days on dealer lots in April before being driven off by customers. Across the industry, automakers enjoyed buoyant sales of small and midsize crossovers. The new Ford Edge and Nissan Murano soared more than 73 percent; the Chevrolet Equinox, Jeep Cherokee, Toyota RAV4 and Subaru Forester were all up 21 percent or more. The month's overall gain renewed confidence in the industry's strength, following a rise of just 0.5 percent in March. The seasonally adjusted sales rate came in at 16.52 million, down from March's 17.12 million but up compared with the year-ago SAAR of 16.06 million. "The industry is off to its best start since 2001, the last time the industry sold 17 million vehicles," said Bill Fay, Toyota Division general manager. "Light trucks, especially compact and midsize SUVs and crossovers, have been driving the industry all year, and they did so again in April." Trucks accounted for 54 percent of total U.S. industry sales, making April the 20th straight month that trucks outsold cars. Growth was steady across the industry. General Motors, Ford Motor, Fiat Chrysler and Nissan North America all grew by 5 to 6 percent, while Toyota Motor and Hyundai-Kia grew more slowly, by 1.8 percent and 1.3 percent, respectively, although Kia sales were down slightly. American Honda's sales fell 1.8 percent, with a significant drop on the car side as Accord sales came in 20 percent below the year-ago level. The automaker also got less of a lift from crossovers. Honda CR-V sales were up just 3.4 percent as dealers prepared for the May 15 arrival of the new small HR-V. The Volkswagen brand, with a lineup that is painfully short on crossovers, suffered a 2.7 percent decline. Volvo rose by the slimmest of margins, as it sold 4,636 vehicles last month, just one more than a year ago. Only smaller brands and luxury marques posted outsized gains. Subaru's sales rose 18 percent. BMW and Mercedes-Benz reported gains of 6.9 percent and 13 percent, respectively. The outlook for the months ahead is positive, with housing, employment, consumer confidence and other economic indicators pointing up. 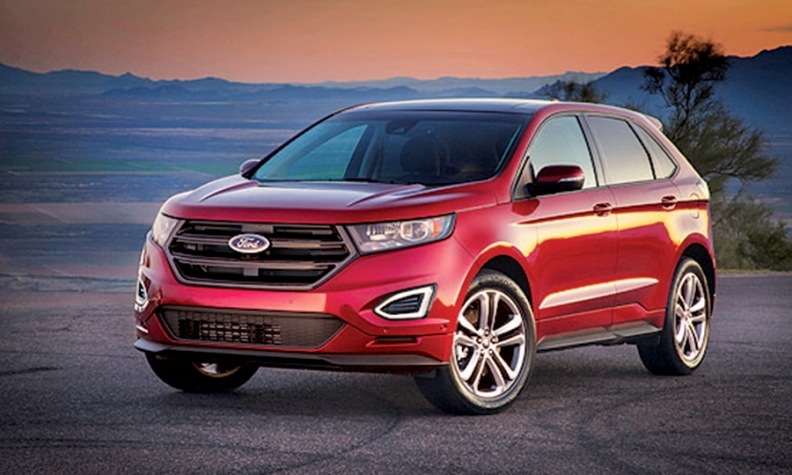 "The underlying demand for vehicles remains strong," said Yong Yang, a Ford economist. Combined with another strong showing by pickups, the crossover surge more than offset declines in compact and midsize cars and underscored the shifting tastes of American consumers to roomier and taller vehicles. "We continue to see movement from passenger cars" to utility vehicles, said Ford sales analyst Erich Merkel. It's a shift powered by demographic changes, he added. Many aging baby boomers are now empty nesters who want smaller vehicles but appreciate the extra space that small crossovers offer, Merkel said. Just a few years ago, many older baby boomers favored minivans for hauling friends or compact cars for extra miles per gallon. Helping the crossover craze are the redesigned, feature-packed models that have entered the market in recent months. The Jeep Renegade, Lexus NX and Chevy Trax are completely new entries that are adding incremental sales to their brands. The compact crossover segment -- led by the CR-V, Equinox, Ford Escape, RAV4 and Nissan Rogue -- grew 22 percent to 222,007 units in April. The segment accounted for more than 15 percent of the total market, and it outpaced both pickups and midsize cars, whose sales totaled 207,452 and 210,897, respectively. "Customers are excited about buying and are delighted by the new cars they are finding in the showroom," said Mike Jackson, CEO of AutoNation. "What you get for the price point is fantastic, and customers love it." 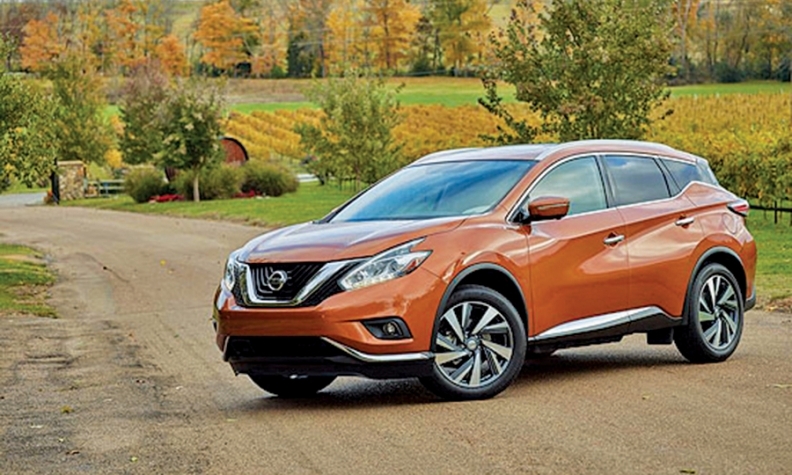 The Nissan Murano soared in April. Both the Edge and Murano are new for 2015. The Edge now offers a 2.0-liter, turbocharged base engine, more room, a plusher interior and improved fuel economy over the outgoing model. On average, Edges sat just 10 days on dealer lots in April before being driven off by customers, Merkel said. As a group, compact crossovers sold after just 44 days in inventory, according to Edmunds.com. The average for compact cars was 78 days. Even older crossovers are drawing buyers. GM's crossover sales surged 25 percent, driven by jumps of more than 40 percent for both the Equinox and Cadillac SRX. GM said its crossover sales of 77,780 were its highest ever in a single month. Pickup sales also continued to move ahead. Sales of the Chevy Silverado and GMC Sierra full-size pickups rose a combined 7 percent. Sales of Ford's F series, which dipped slightly, were limited by tight supplies as Ford ramps up production of the aluminum-bodied 2015 F-150. Ford said about half of the F-150s sold in April were 2015 models. The Kansas City plant that makes the new truck is supposed to shift to full production speed in this quarter.